Well, maybe that is a bit over the top, but this dressing is great! 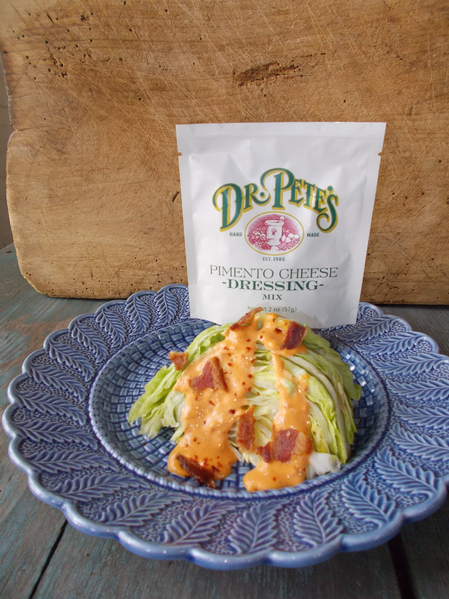 Why not take an iconic favorite like pimento cheese and make a salad dressing out of it? The mix uses two kinds of cheese, pimento peppers, and spices for a great tasting dressing over a lettuce wedge, salad, veggies, burger, or your favorite sandwich. Just add buttermilk and mayo to the mix and you will be the talk of the town.